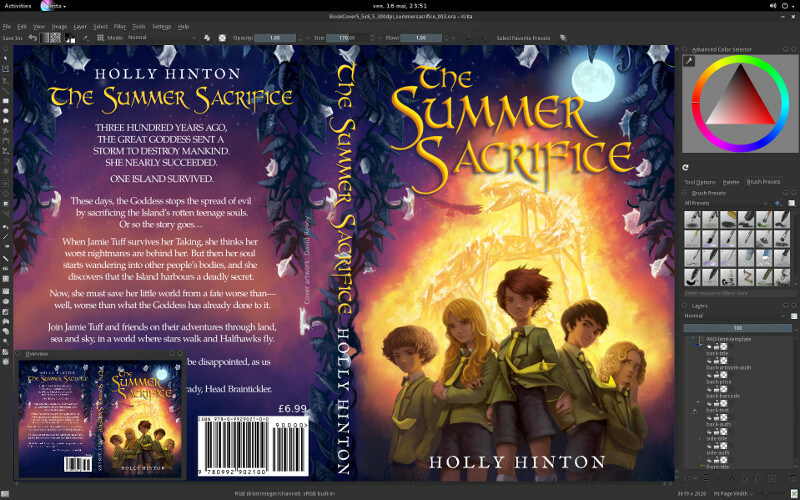 This is the cover for the middle grade fantasy "The Summer Sacrifice" by Holly Hinton. The creation process, detail of the book and more about can be read on the blog "Batch Of Books" if you follow this link : http://www.batchofbooks.com/2014/05/cover-reveal-and-creation-process-for.html. Thanks to Holly again for her feedbacks during process, investment and the time we shared together working on this book cover. 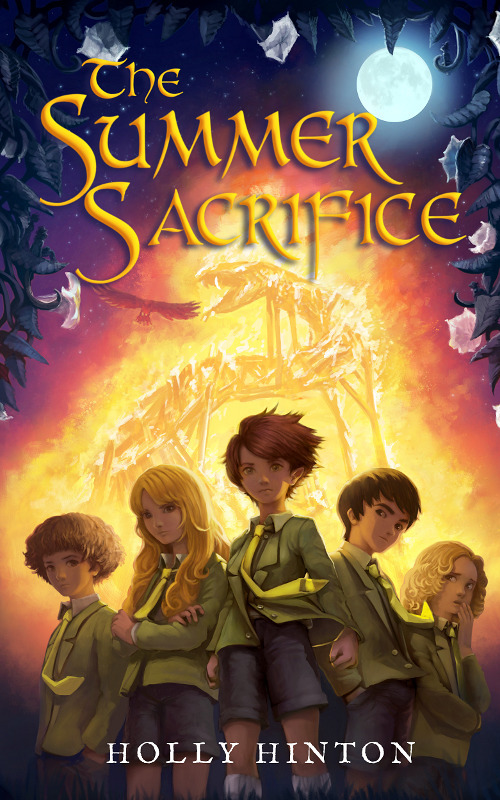 The book is scheduled for release on June 21st, 2014 ( I'll update here a link to a shop at this date ). with a special permission to republish here, 22 may 2014 .
is the text made with krita too? @kaerhon : Yes, it was, but not dynamic. ( the vector/dynamic text was flatten as pixels on a layer, then painted inside ). Since Krita 2.9.4 ; it's possible to do this the dynamic way thanks to the layer-style. Which font you have to use to create this movie poster?